The objective of Cheshire Fire and Rescue’s Winter Driving Campaign was to educate and engage with as many people as possible to educate them about the need to ensure proper Tyre and Vehicle checks as winter approaches. Why did Cheshire Fire and Rescue Service get involved? The objective of the Winter Driving Campaign was to educate and engage with as many people as possible to educate them about the need to ensure proper tyre and vehicle checks as winter approaches. The service achieved this objective by planning and delivering direct engagement events at appropriate locations with regard to maximum opportunities to engage, site suitability, partner availability, and goodwill of site operators. The statistics regarding increases in KSI’s during October are hard to ignore. National statistics detailing the number of KSI’s either directly or partly attributable to tyre and other vehicle defects provide supporting information when engaging with people. The direct engagement work is supported by appropriate media and social media activity. What did Cheshire Fire and Rescue Service do? During October 2015, CFRS staff and volunteers delivered 27 direct engagement ‘TyreSafe and Winter Driving’ events at locations across the county. These were planned and delivered in partnership with local supermarkets, garden centres, charity officials, car wash owners, Police, and local TyreSafe members. The objective was to educate and engage with road users, in partnership with staff from local TyreSafe members, and to perform physical vehicle checks at the location. Additional education included How, Why and When to perform the vehicle checks. Or if the driver was not confident, to emphasise the need to get the tyres checked professionally on a regular basis. More than 2000 people were engaged with, and 780 vehicles were physically checked. Activities were supported by a solid media and social media campaign. 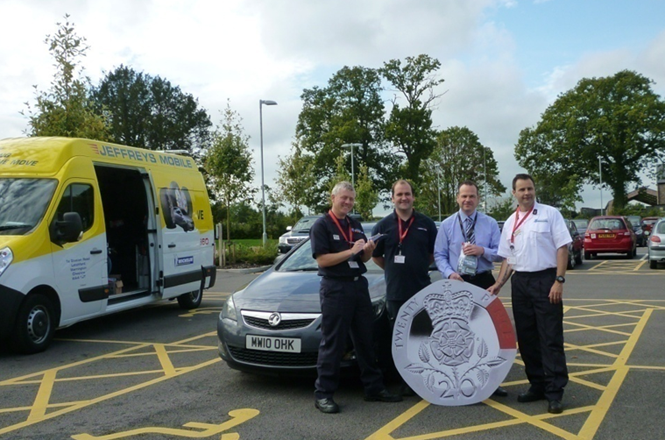 During October 2015, Cheshire Fire and Rescue staff planned and delivered 27 separate road safety events to directly engage with the public and promote Tyre Safety. During these events, 780 vehicles were physically checked by our staff, volunteers and TyreSafe partners. The drivers and occupants of the vehicles received information and education about the importance of the tyres on their vehicle, how to carry out regular checks, when to carry out regular checks, and the consequences of unsafe tyres. As a result of our efforts in October 2015, more than 2000 people now know more than they did before about the importance of tyre safety, their vehicles are safer, they are safer, and we are safer.